♥Shimmering flat cable chain that is accented with five hammered discs, to flutter and sparkle on your wrist. Finished with a round spring clasp, and a 1/2" extender to allow room for adjustment. 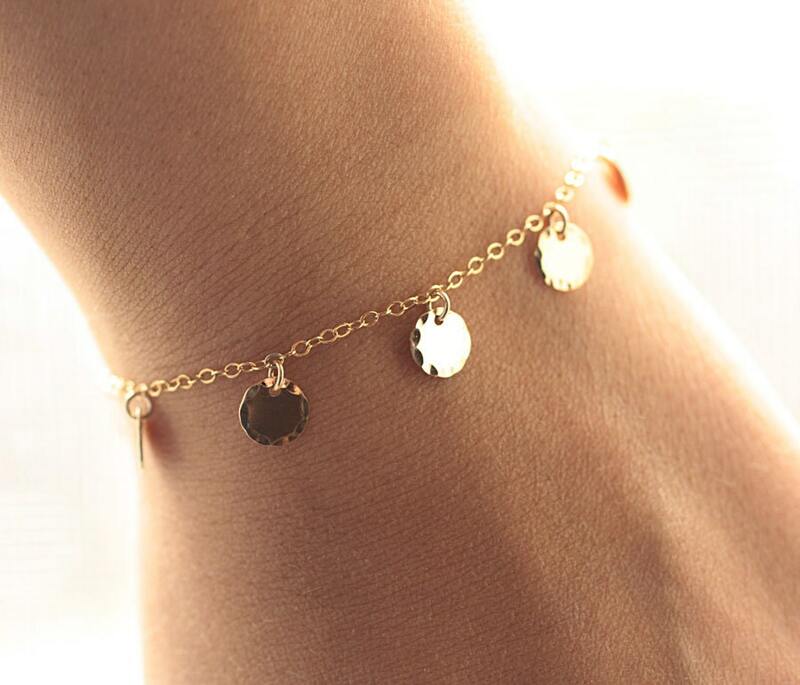 ♥FIVE teeny tiny gold filled discs (7mm, just over a 1/4"), hand hammered edges with a shiny finish - you will obsess as they dance around your wrist and reflects the light. A perfect summer bracelet! I have now purchased two of these bracelets to wear together. I love them. They are dainty but add a touch of bling while being feminine and understated. They have stood up to a lot and two hospital stays! They bring a nice sparkle and I love them. Have my eye on others already. Highly highly recommended store!